The Minister of Agriculture and Natural Resources, Chief Audu Ogbeh on Monday in Kano, said the Federal government will place final ban on the importation of tomatoes paste before the end of 2019, ostensibly to encourage massive local production. Ogbeh who was on fact finding tour alongside, the Governor of Central Bank of Nigeria (CBN) Mr. Godwin Emefiele to Dangote Tomato process plant at Kadawa in Garun-Mallam local government of Kano state, Monday, said that the Federal government under the leadership of President Muhammadu Buhari will embark of tomato revolution across the country as part of its diversification policy in agriculture. According to him, the sum of N250 billion has already been earmarked by the Central Bank of Nigeria through the Bank Agriculture to disburse as soft loans to tomato outgrowers as part of the apex bank’s Anchor-borrower scheme. 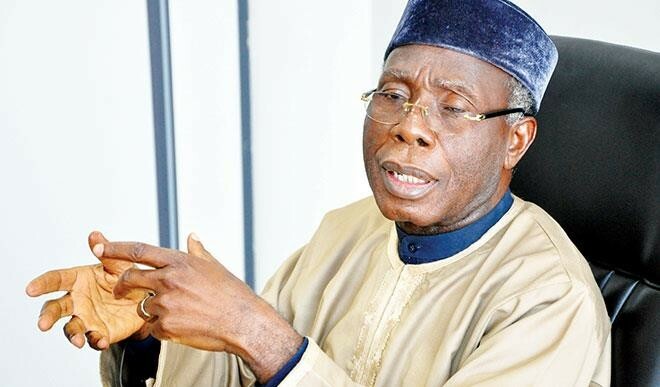 Ogbeh, lamented that the country has spent over $22 billion on the importation of tomato paste from China annually, added that the CBN intervention will not only empower local growers but strengthen the nation’s foreign exchange earnings. Ogbeh who revealed that the inspection of Dangote’s tomato facility was part measures to encourage private manufacturing companies to sustain local production of tomatos. He assured tomatos farmers that the Anchor-borrowers initiative will further enhance their capacity to grow massive crops that will enable processing facilities to produce tomato paste local consumption and export. According to him “Federal government will continue to encourage Dangote agro-farms and the farmers to grow massive tomatos in Nigeria and with this kind of outfit, farmers will earn more with better seedlings from the Dangote green house and get better results. “The farmers will supply to the processor and eventually join tomatos breeders in the world. In a short while, Nigeria will simply stop importation and dependant on other source for tomato supply”. On his part, the CBN Governor, Mr. Emefiele said the apex bank supported Dangote green house with N1.3billion to produce hybrid tomato seedlings to enhance massive local cultivation. He said “We are recall that Dangote set up the tomato processing plant four years ago as the only true tomato, manufacturing plant in Nigeria because others are just marketing foreign paste in the country. “However getting this factory to work has always been a major challenge but after extensive discussion, the CBN approved and to support Dangote’s proposal of N3.5billion to build the green house plant from where the hybrid tomato seedlings will be manufactured and transplant for massive production. “The green house plant will produce 3 million seedlings which will supply to farmers. With this hybrid tomato seedling, farmers will be able to produce over 70,000 tons per hectare against the 10,000 tons. To this end, “this output will encourage farmers to increase their production and provide job opportunity. Let me emphasize the federal government ban on those foods and other items we can produce in this country still remain on the banning list. Chairman, Dangote Tomato Processing Plant, Alhaji Sani Dangote assured that with right policies in place, Nigeria will not only be self-sufficient in tomato paste consumption but also produce enough for exportation by year 2023. According to him, the company will commence cultivation of its tomatos farm production on the 200 hectares of land donated by the state government to meet local processing demands. He said “With the support from CBN, Kano state government and commitment of government to ban the tomato paste importation to Nigeria, farmers will benefit from Dangote’s well structure facility that will provide the seedlings from the green house and supply beginning from this year. With this arrangement, Farmers will be able to harvest 70,000 tons per hectare against the 10,000. “Let me assured CBN government and Minister of agriculture and the state government that if will get the right supports from all; the value chains, this country from 2013 will start export of tomatos concentrate is to other African countries and by 2021 Nigeria will be self sufficient of tomatos consumption”. He further said, “In this Kadawa alone, there are over 60,000 hectares and in Nigeria we don’t need more 25,000 hectares, and with improved seedlings to be self sufficient in tomato production. “With the additional 170,000 hectares, In Nigeria we have over 200,000 hectares according to the data we have, that are used for cultivation of tomatoes, if we are already engaging 200,000 hectares and producing only 2miilion because of low yield, it shows that, if we move to the higher yield, Nigeria can produce 16million tons of tomato paste. “So if Nigeria can take the right step only one move, ban it, get support from the CBN on Anchor Borrowers and the Federal government, by 2021, Nigeria will not import a kilo of tomato concentrate”.